In the 1940s, things got a little better. The Second World War brought a lot of work to our jurisdiction. 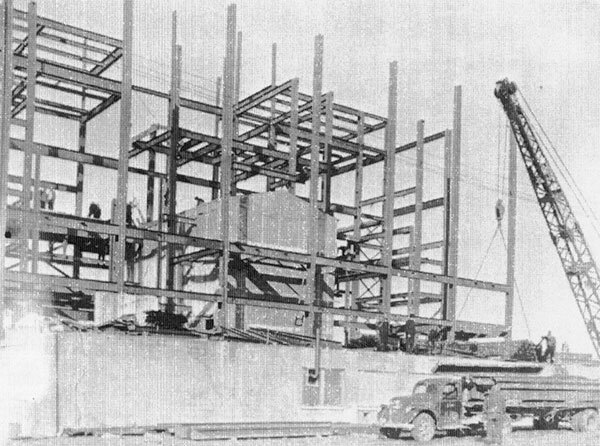 Construction of the Arden Hills Arms Plant created a lot of work for the Steamfitters in Local 455. Also, the beginning construction of the 3M main plant was coming out of the ground. These two projects, along with other government contracts, kept our local employed throughout most of the 1940s. During the Second World War, union membership in the United States had risen to about 8.5 million. During that time, most unions took no strike pledges because of the war.